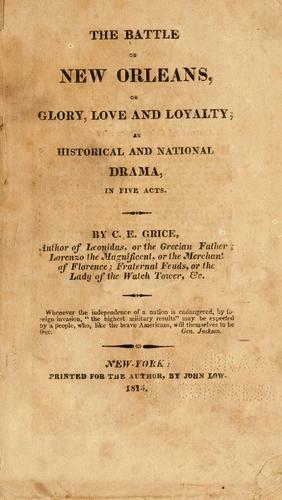 1 edition of The battle of New Orleans, or Glory, love and loyalty found in the catalog. Add another edition? an historical and national drama, in five acts. 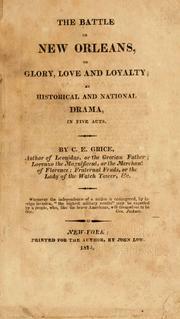 Published 1816 by by John Low in New-York: Printed for the author .